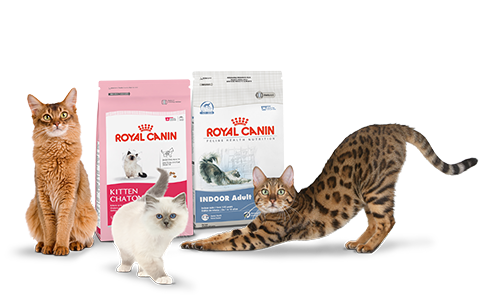 Royal Canin Foods! We free feed them dry food and feed wet 1-2x a day. The best place to order this food is www.chewy.com. They deliver right to your front door! NEVER change your kittens diet from what your breeder is feeding he/she. This can cause very serious digestive problems that can last for weeks! Some of the high end foods cannot be tolerated by our sphynx. They are too high in fat and too rich for our hairless kitties. Be very careful making any changes to the diet unless there is an issue! If you find your cat is having loose stools and it seems to be a food allergy. I recommend Natural Balance Duck and Pea LID food.